Having been struck down with blisters on my feet in a marathon recently, I switched to Drymax Hot Weather Socks as I live near the Equator. 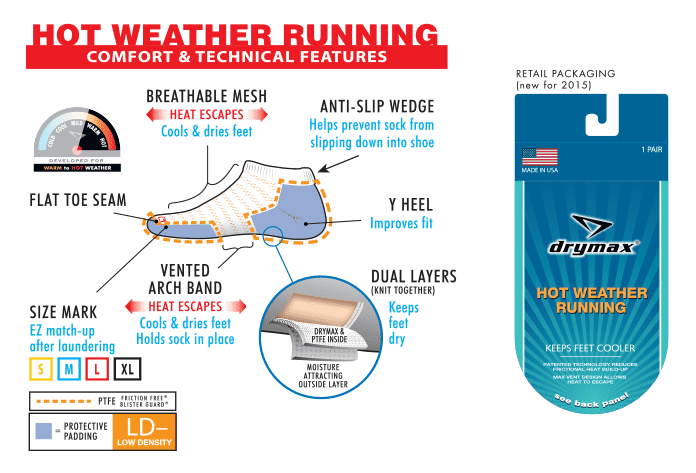 These socks keep my feet cool and wick out excess moisture whilst running in hot and humid (or very wet) weather. They do exactly as advertised. Highly, highly recommended! I usually wear thinner socks, but these are comfy & feel very cushioned in the right places, without making my shoes feel too tight.